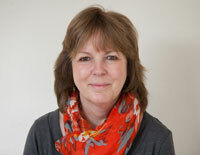 I have been counselling for almost 20 years and I am the clinical director here at Haywards Heath Counselling Centre. I helped set up the practice in partnership with another colleague over 15 years ago, as we wanted to make counselling much more accessible to people in Mid Sussex. I wanted to train as a counsellor following a really positive experience of my own personal therapy. I completed an inspiring three year Diploma course in Therapeutic Counselling and since qualifying, have worked as a counsellor at Brighton University, within the NHS and for two local charities. I work largely as a psychodynamic counsellor, which means that we gently explore the connection between our experiences as we grew up and the difficulties that we may face in our lives now. Experience has shown me that, as we begin to understand and work with this connection, we are able to develop a much better relationship with ourselves, which by nature, can lead on to us having better relationships with our friends and families, something I think that is important to us all. I consider myself to be down to earth and friendly and I work in a way that is both approachable and professional. I am committed to my own professional and personal development and have a very keen interest in progress and research within counselling and psychotherapy. I qualified as a therapeutic counsellor in 2002 and have since worked for Mid-Sussex and Redhill Counselling Centres where I offered both long-term counselling as well as brief Primary Care Trust (PCT) counselling. In addition to that I worked for five and a half years at Axa PPP Healthcare as a telephone counsellor and case manager in the Employee Assistance Programme (EAP). As an integrative counsellor I draw upon different theories depending on your personal needs.I offer a warm, safe and non-judgemental space in which to explore whatever it might be you are struggling with and aim to help you gain greater clarity of what is troubling you. I believe counselling is about gaining self-awareness which can help us create better relationships in our private lives and at work. I am committed to my own personal and professional development and attend frequent training courses on a variety of subjects. I am an accredited counsellor with 14 years experience of working as a therapist with both couples and individuals. I offer short term and long term therapy. I have a wealth of experience of working with couples commencing in 2003, when I joined Relate. I continued to work for Relate until 2015, increasing my knowledge and experience, attending various workshops and courses on a variety of topics such as working with abuse, affairs, loss of intimacy, communication difficulties to name a few. I qualified as a psychotherapeutic counsellor in 2013 working with individuals using a psychodynamic model. This approach enables us to explore the past to help make sense of the problem in the here and now. I provide a personalised, flexible approach, which ensures I offer counselling based on your needs as an individual. 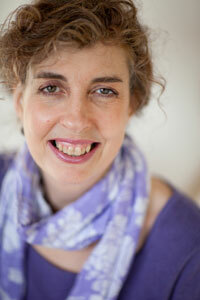 More recently I have been working both in private practice and for the NHS as a counsellor. Part of this work has involved setting up a new service, working with couples where depression is causing relationship difficulties.This approach helps couples to deal with stress, to think about self-care and create coping strategies. I continue to develop my interest in working with couples and individuals, who want to improve the quality of their lives and their relationships. I trained as a counsellor after 11 years working as a Mental Health Nurse in the NHS. I have chosen to work with a psychodynamic approach because I feel that through exploring our early experiences and patterns of relating to others, we can understand ourselves better, resolve conflicts in our internal and external worlds, and gain freedom to live more creatively. I offer a sensitive, empathic and non-judgemental therapeutic relationship in which concerns can be addressed together. I tailor my approach to the individual, drawing upon different psychotherapeutic theories. I have experience of working at Brighton Therapy Centre and Sussex University Counselling Service, as well as within my own private practice. I work with a wide range of issues, including supporting people to work through experiences of trauma and abuse. I have worked extensively with young people and with people diagnosed with high functioning autistic spectrum conditions in my role as a Mental Health Nurse. I have an understanding of issues affecting the LGBTQ+ community and have experience of working affirmatively with individuals to explore issues related to gender and sexuality. I am actively engaged in continuing professional and personal development, attending a variety of groups and courses. I am a registered member of the BACP.